From Pulitzer Prize-Winning Movie Critic Stephen Hunter Comes A Brilliant, Freewheeling, And Witty Look At The Movies. 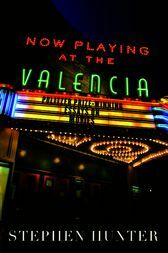 Evanston, Illinois, was an idyllic 1950s paradise with stately homes, a beautiful lake, a world-class university, two premier movie houses, and one very seedy movie theater -- the Valencia. This was the site of Washington Post film critic Stephen Hunter's misspent youth. Instead of going to school, picking up girls, or tossing a football, Hunter could be found sitting in the fifteenth row, right-hand aisle seat of the Valencia, sating himself on one B-list movie after another. The Valencia had a sticky floor, smelly bathrooms, ancient popcorn, and a screen set in a hideously tacky papier-mache castle wall. It was also the only place in town to see westerns, sci-fi pictures, cops 'n' robbers flicks, slapstick comedy, and Godzilla. In Now Playing at the Valencia, the author of such bestselling novels as Havana and Pale Horse Coming has compiled his favorite movie reviews written between 1997 and 2003, bringing to the discussion the passionate feelings for cinema he discovered in the '50s, a time when genres were forming, mesmerizing stars played unforgettable characters, and enduring classics were made. While filmmaking has changed tremendously since Hunter first frequented the Valencia, the view from the fifteenth row, and the thrill of down and dirty entertainment, has remained the same.